Deliver the right part to the right place at the right time. Off-the-shelf kitting solution that supports line side and off-site kitting architectures. Integrates into any type of kitting solution and manufacturing process. Plug-n-play standardized hardware that can be installed on either your rack design or ours. Modular, reconfigurable kitting solution where pick sensors/indicators, error proofing, barcode readers, door switches, and more can be changed or added in minutes without programming, eliminating downtime. The eFlex Kitting solution can be customized for small lot or bulk parts. You control the level of error proofing for both pick and load side. We can apply to your rack designs or provide a complete turnkey solution. 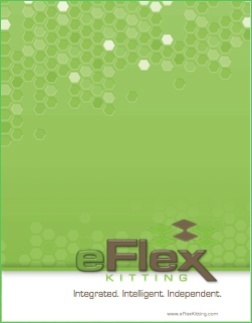 To learn more about eFlex Kitting, download our brochure. Questions about a Kitting solution? Contact an eFlex Team Member.